Buying New Gym Shoes? Let Your Feet Lead the Way! A specific shoe for a specific activity. It’s never a good idea to purchase a pair of gym shoes that are made for walking if you’re planning to run. Walking shoes tend to be stiff, while running shoes are flexible with extra components such as cushioning to handle higher levels of impact. 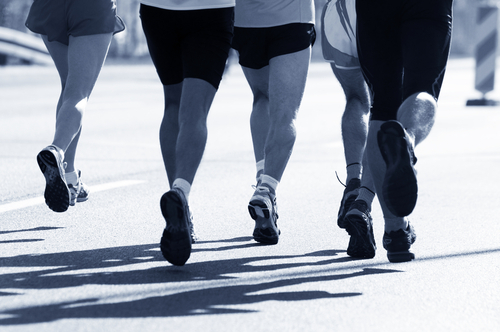 Running in walking shoes can lead to aching heels, shin splints, and muscle aches. Shoes that fit your foot type and no one else’s. Some us have flat feet, others have narrow feet, and some of us have wide feet. Never try to stuff your wide feet into a narrow pair of gym shoes because they look good. You’ll end up with more than just aching heels at the end of the day. A good shoe store will have all the equipment it needs to measure your foot precisely, and match you with the perfect shoe. Listen to the salesperson’s suggestions and you won’t be sorry later. Here’s another tip, foot size continues to change as we age, so have your feet measured twice a year. Ok, so of course you need extra room for socks, but you’ll need even more room to wiggle your toes. Yes, gym shoes should not be snug at the front, but your heel shouldn’t slip out of the shoes either. Leave at least 3/8-1/2 inch between the front of your big toe and the inside of the front of the shoe for a comfortable fit. You shouldn’t feel any tightness anywhere. If you do, keep trying until you don’t! Cutting-edge components for whatever ails you. Having trouble getting shoes to fit no matter what you do? Try a pair that allows you to pump up the tongue for a customized fit. Got heel pain? 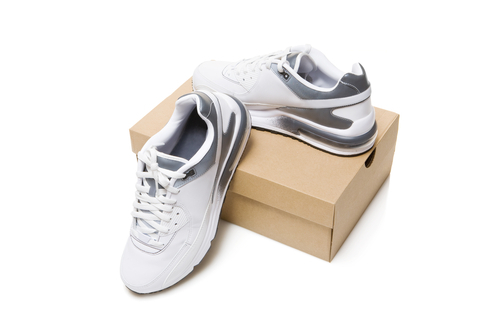 Try a pair of gym shoes that come with clear inserts or shoes that are filled with gel, air, or Freon. These components add extra shock absorption, so you’re feet are less likely to hurt after a vigorous workout. Yes, shoes rack up the miles, just like a car. And, like a car, they can break down when they’ve racked up too many. Ask the salesperson how many miles your shoes will last. The figure should be somewhere between 350 and 400 miles. Once your gym shoes hit the mark, it’s time to trade them in for a new pair. If you just don’t have time to calculate miles, it’s ok. You can go by how your shoes look and feel. If the shoes no longer offer support, they’re uncomfortable, or the back heel is worn out, it’s time to throw those puppies out and buy a new pair. 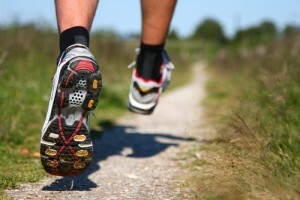 For more information about choosing the best gym shoes for your feet, visit WebMD.com.